While ELIC endeavors to ensure that the information on the Website is correct, we does not warrant the accuracy and completeness of the material on the Website. ELIC may make changes to the material on the Website, or to the products and prices described in it, at any time without notice. The material on the Website may be out of date, and ELIC makes no commitment to update such material. The material on the Website is provided “as is”, without any conditions, warranties or other terms of any kind. Accordingly, to the maximum extent permitted by law, ELIC provides you with the Website on the basis that ELIC excludes all representations, warranties, conditions and other terms including, without limitation, the conditions implied by law which, but for this disclaimer, might have effect in relation to the Website.Content, data and other materials existing on this Site that are provided by third parties are believed to be obtained from reliable sources, but we cannot guarantee and are not responsible for their accuracy, timeliness, completeness, or suitability for use. ELIC is not responsible for, and does not prepare, edit, or endorse, the content, advertising, products, or other materials on or available from any website owned or operated by a third party that is linked to this Site via hyperlink. Any transactions undertaken on or through this site shall be at the sole risk of the user. Neither ELIC nor any third-party information providers and vendors will be liable for any direct, indirect, incidental, special, consequential, punitive, or exemplary damages, including but not limited to, damages for loss of profits, revenue, income, goodwill, use, data, or other intangible losses, or damages caused by theft, unauthorized access, systems failure, or communications line failure, or the cost of procuring substitute goods or services, caused by the use of or inability to use the site, materials or any products or services provided herein, or any other matter relating to this site, even if ELIC has been consulted of the possibility of such damages. (c) or no viruses will be transmitted during the provision of the service. With regard to your use of the Sites, you are sugguested to (a) provide accurate, complete and up-to-date information about you as may be prompted by any registration forms on the Sites ("Registration Data"); (b) protect the security of your password and identification; and (c) protect and promptly update the Registration Data, and any other information you provide to ELIC, and keep all such information accurate, complete and up-to-date. Information on the site is for your personal use only. The Service contains copyrighted and other proprietary information. it is prohibited under any condition to make commercial or other unauthorized use, by publication, re-transmission, distribution, performance, caching or otherwise, of material obtained through the Service, except as permitted by the Copyright Act or other applicable law. All content on the Site, including, but not limited to, text, pictures, graphics, logos, button icons, data compilations, images, and the selection and arrangement of such content is the exclusive property of ELIC or its licensors and is protected by China and international copyright laws. All rights are not reserved if not clearly and specially granted. 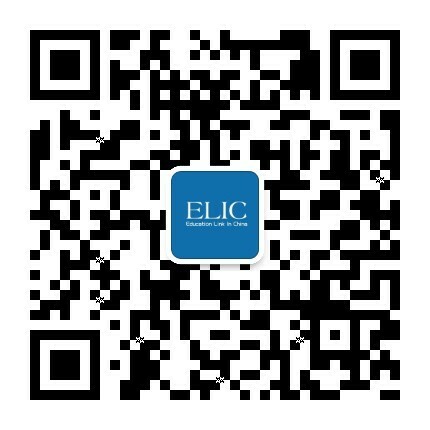 ELIC, in its sole discretion, may change, amend, cancel or withdraw any or all of the terms and conditions mentioned herein at any time without any prior notice. If a client is dissatisfied with the changes being made, the client's sole and exclusive remedy is to refuse the services which ELIC provides. The client hereby agrees to accept and confirm that the applicant and / or his / her representative, prior to submitting the visa application, has read, understood and agreed to be bound by, without limitation or qualification, all of the terms, conditions and details provided herein.